Baan Khanitha, which literally translates as Khanitha’s home, belongs to a fine lady Khanitha Akaranitikul who created this establishment in 1993. 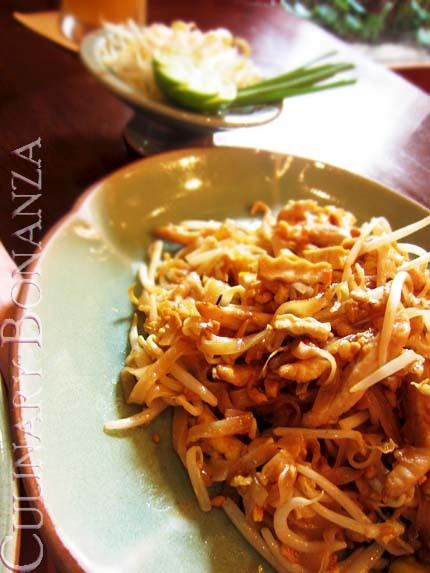 With Madame Khanitha’s high standards for fine Thai cuisines as well as her refined expectations for service and ambiance, Baan Khanitha has been named 'Bangkok's Best Thai Restaurant’ for more than 10 consecutive times, by Bangkok Dining & Entertainment magazine since 1997. 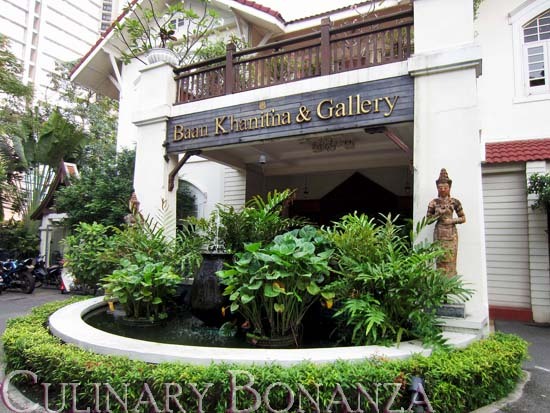 Baan Khanitha and Gallery is located at a prime location, directly adjacent to the main road of Sathorn. 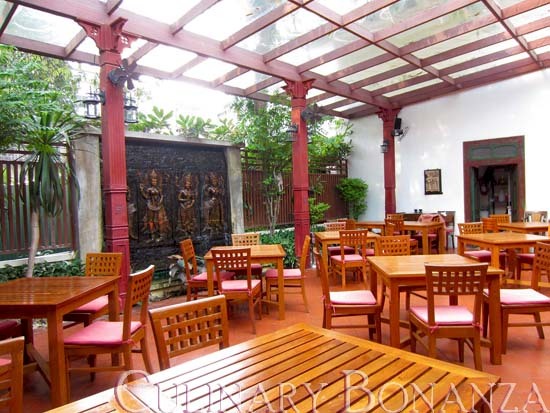 The entire complex is more like a country house, with modern Thai touch. However, upon entering through one of the doors, guests are pampered by the sight of Madame Khanitha’s abundant collection of paintings and antiques – hence the ‘Gallery’. The house itself is divided into several sections, which the patrons could choose to reserve in advance to hold private functions of gathering. As I explored deeper into the house, my breath was taken away by the open-air garden section at the back. The house almost entirely uses wooden furniture and terra-cotta tiled floors and the same for the garden. The trickling water sound from the stone-carved fountain shall accompany your feast. The transparent roof would probably increase the temperature during the day, but the flowing water gives such a pleasant & calming feel to whoever is sitting here. I’d say this spot is perfect to enjoy your Sunday brunch in peace. 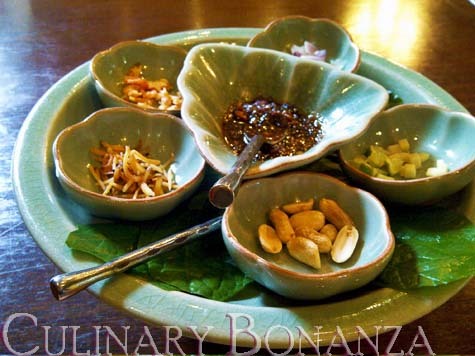 While waiting for your order to arrive, enjoy the complimentary welcome dish, called Meng Kham. This is a do-it-yourself appetizer, which you create from any combination of lime, onion, dried shrimp, crispy shaved coconut, and peanuts. All you have to do is put any of those ingredients on the beetle nut leaf and top it off with the sweet & spicy Thai sauce. 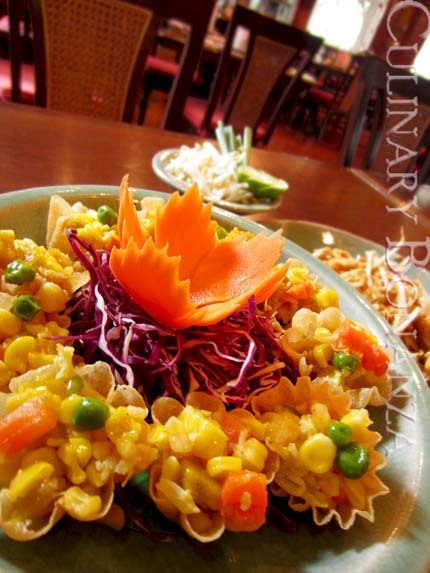 The Krathong Thong (160 THB) is highly recommended for starters. These are beautiful crispy cups with tasty prawn filling and a generous savoury vegetables topping. 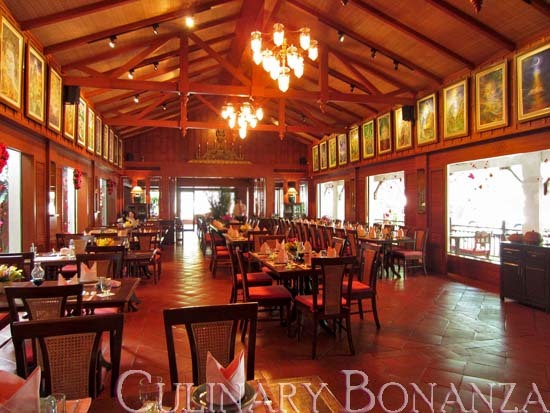 Complete your fine dining experience here with Baan Khanitha’s wide selections of cocktails and international wines. Bangkok! that's really nice! and so is this report! Lovely words and very nice pictures. Sooo yummy!